What can I expect during and after a treatment? Does it Hurt? A typical laser appointment involves 3-8 minutes of actual laser treatment. During the treatment the only noticeable sensation is a comfortable warmth. There should be relief of pain immediately after the treatment. Although relief is felt after one treatment, it may return after a few days. The returning pain should still be an improvement over the previous pain. 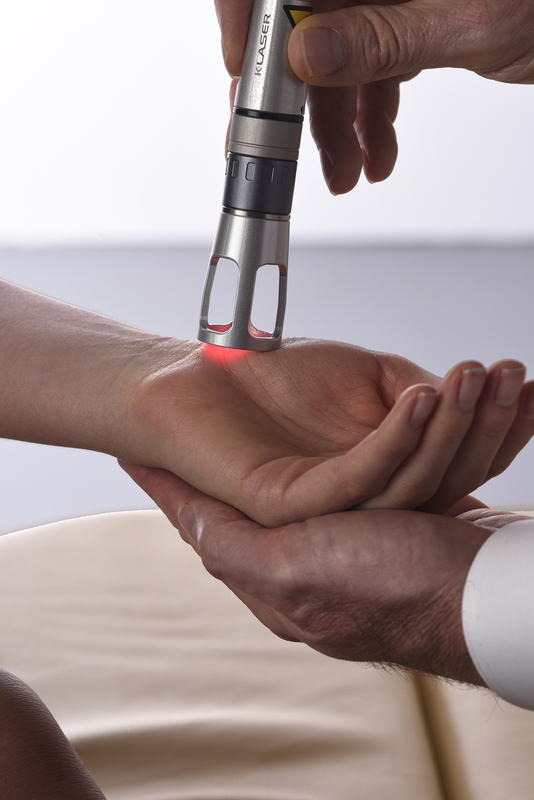 To watch a live demo, visit our blog to see Dr. Pihowich, ND demonstrates the use of K-laser on Dr. Fleury, ND in a video. How many treatments do I need to feel better? Some people respond very well to one or two treatments, others find continual benefit up to 10 treatments. An average would be 3-5. Acute injuries can be treated as often as 2-3 times per week, and older injuries or pain should be treated 1-2 times a week for a longer period of time. 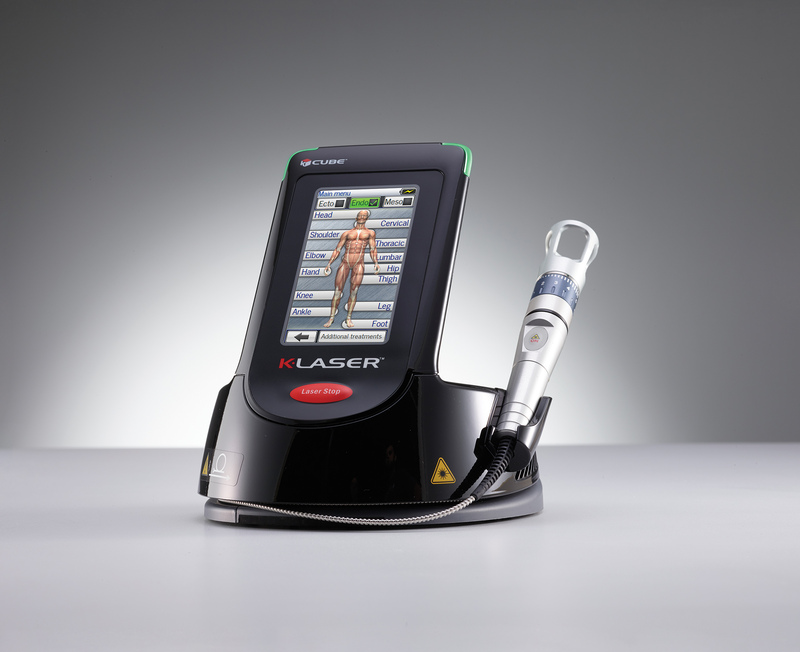 Laser therapy has been used for over 20 years, and very few side effects have been reported. Occasionally some old injuries or pain syndromes may feel aggravated for a few days, as the healing response is more active after treatment. We don’t laser in cases of active cancer or pregnancy just as precaution. Tattoo’s will heat up, and if you’ve had a cortisone shot in the past week we can’t laser over the injection site. Laser is safe in patients with metal implants or pacemakers! Can I get laser if I’m already getting other treatment? Yes. Laser actually works best when combined with other forms of treatment, including physical therapy, chiropractic, massage, soft tissue mobilization, and even following surgery. As a naturopath, this treatment is a part of a wholistic care plan, so the appointment is billed as naturopathic medicine. absorbed by water and generates a modest amount of warmth – the benefit here is more blood flow = more nutrient delivery and by-product clearance.